EJ’s teaser track ‘Mama, I’m Gonna Sing’ has been infecting the nation since her striking video was released earlier this year. 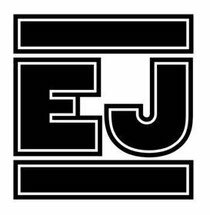 With autobiographical lyrics and semi-acapella vocals it’s caused a real stir so it’s interesting to see where EJ gets her inspiration from. Famous for his ‘United State of Pop’ series, San Francisco-based Jordan Roseman aka DJ Earworm has created a lovely mashup for ‘Mama, I’m Gonna Sing’. Collating snippets, samples and video clips from greats such as 2Pac, Notorious B.I.G. and Prince, DJ Earworm has produced a timeline of influencers that have brought EJ to where she is now. With classic songs from the ‘70s, ‘80s and ‘90s, including ‘Pass The Dutchie’ and ‘Love To Love You Baby’, this is nice mashup. Shame it’s so short.